A professional, nourishing cream for capillary, sensitive and acne rosacea-prone skin types. The cream improves skin tone and restores its more vibrant appearance. 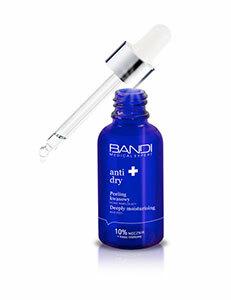 It helps seal the epidermal barrier preventing excessive water loss, dryness, tightness and itching. It smooths the epidermis, provides it with elasticity and anti-aging activity. Apply in the morning and evening to the cleansed skin of the face avoiding the eye area.